Container Databases have been an area that I have researched intensively over the past years. With this post (and hopefully some others that follow) I would like to demonstrate some of the new situations the DBA might be confronted with. Please don’t use this post to give the new 12c architecture a hard time: standardised deployments (which I love) help you a lot. Not only do your DBA scripts work reliably everywhere, but the error condition I am showing in this post should be a lot less likely. At the end of the post I’ll show an alternative approach using a standardised way of creating PDBs. 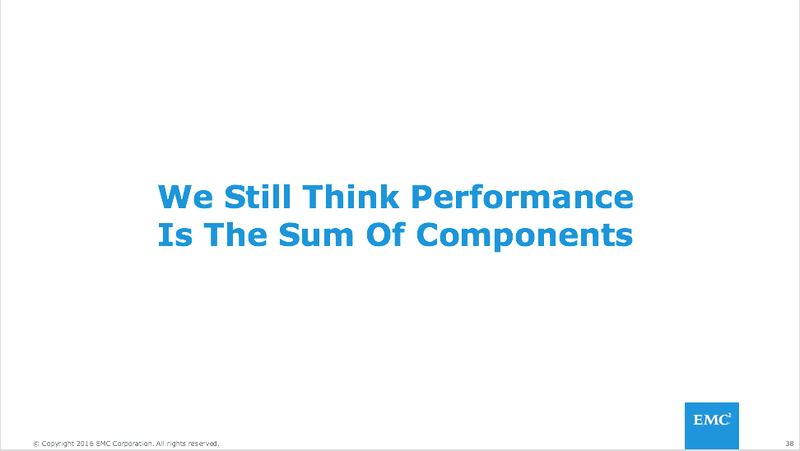 Expecting Sum-Of-Parts Performance From Shared Solid State Storage? I Didn’t Think So. Neither Should Exadata Customers. Here’s Why. One of the nifty things in 12c is the ability to pick up DBMS_OUTPUT output from your scheduler jobs. So if you haven’t built an extensive instrumentation or logging facility, you’ll still have some details you can pick up from the scheduler dictionary views.